Cleveland (Wednesday, August 26, 2015) – Cleveland State University and the Rocket Mortgage FieldHouse organization are teaming up to bring more events, more fans and more excitement to downtown Cleveland’s sports and entertainment landscape. 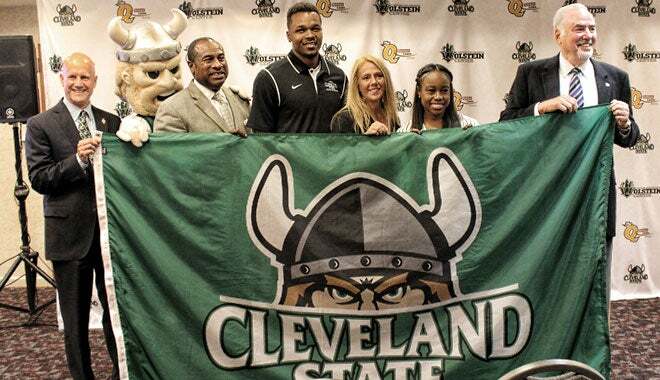 A new partnership between Cleveland State and Rocket Mortgage FieldHouse lays out plans to showcase CSU’s men’s and women’s basketball program and add to the university’s Wolstein Center event calendar. In a joint announcement made today by CSU President Ronald M. Berkman and Cavaliers and Rocket Mortgage FieldHouse CEO Len Komoroski, the partnership will feature the development and execution of a new sales and marketing approach for CSU’s basketball programs at the Wolstein Center and Rocket Mortgage FieldHouse. The collaboration between the two community partners was described as an alliance that will help grow opportunities to benefit CSU students and contribute to the momentum and volume of events taking place in downtown Cleveland. “CSU is excited to work with the professional event promotion team at Rocket Mortgage FieldHouse to enhance programming for CSU students and the community at our Wolstein Center. This partnership showcases our basketball programs and builds on our distinction as an urban university that offers access to all of the amenities and activities Cleveland has to offer,” said Berkman. Rocket Mortgage FieldHouse will utilize their ticket and marketing engines to expand the sales efforts for the Vikings with the regional collegiate basketball fan base. Part of that effort includes hosting five Vikings 2015-16 season home games at Rocket Mortgage FieldHouse against schools that have larger alumni bases in the Greater Cleveland area (games and dates to be announced). As part of the multi-year agreement, Rocket Mortgage FieldHouse will also work with CSU in a consulting role to book events at the Wolstein Center. Packaging both facilities as non-competitive venues to promoters can create more leverage and options for Cleveland as a destination for concerts and other touring shows. In addition, Veritix will become the exclusive ticket service provider for both primary and secondary market ticket sales for all events at the Wolstein Center. CSU fans ordering tickets to Vikings games and other events will experience the convenience of Veritix’ Flash Seats technology that provides easy paperless venue access, along with a secure and officially sanctioned on-line marketplace for transferring and selling tickets. 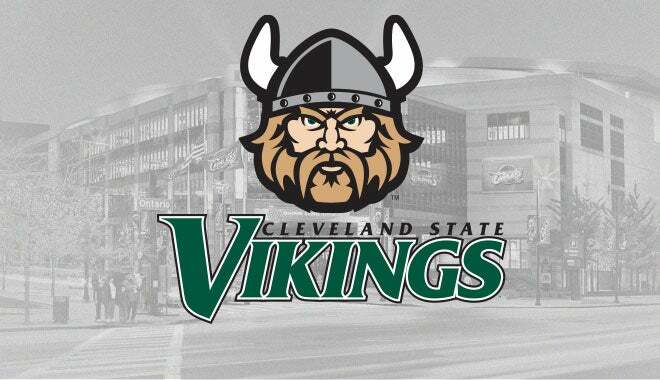 For CSU men's or women's basketball ticket inquiries, or to purchase season tickets, call 216-420-2970. Rocket Mortgage FieldHouse, located in downtown Cleveland, Ohio, is the region’s premier sports and entertainment showplace, setting the court, ice and stage with the widest array of premier games, events and performance. “The Q” is the home of the NBA’s Cleveland Cavaliers, AHL’s Lake Erie Monsters and AFL’s Cleveland Gladiators. Operated by Dan Gilbert, majority owner of both the Cavaliers and Monsters and Chairman and Founder of Rocket Mortgage FieldHouse Loans, the arena hosts close to 200 events from big name concerts to spectacular family shows and signature sporting events each year, —all in a first-class environment that features the latest technology and top-notch accommodations to provide a total entertainment experience for every fan. In Pollstar magazine’s 2014 Mid-Year Report of Top 100 Arena Venues Worldwide for Entertainment Ticket Sales, Rocket Mortgage FieldHouse ranks as one of the Top 20 in the country in ticket sales for top touring attractions.